There are an infinite number of ways to participate in synagogue life. 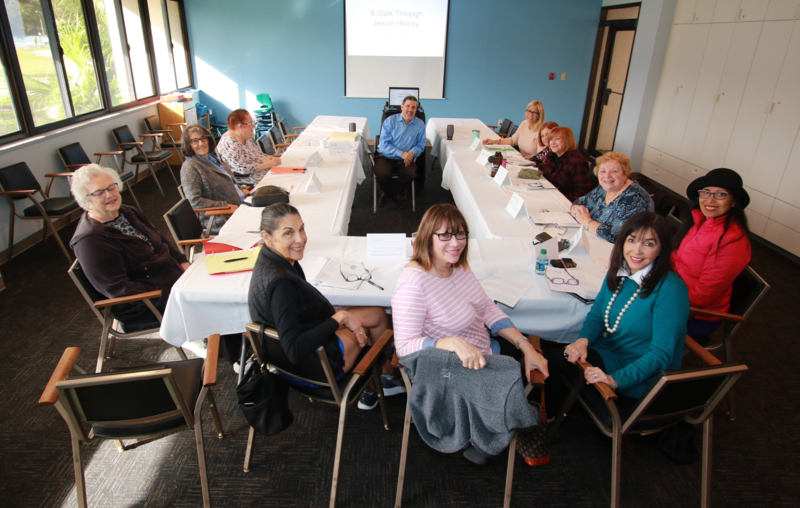 Members of Temple Beth Sholom plan our programs and make activities happen with the support of our fantastic staff. 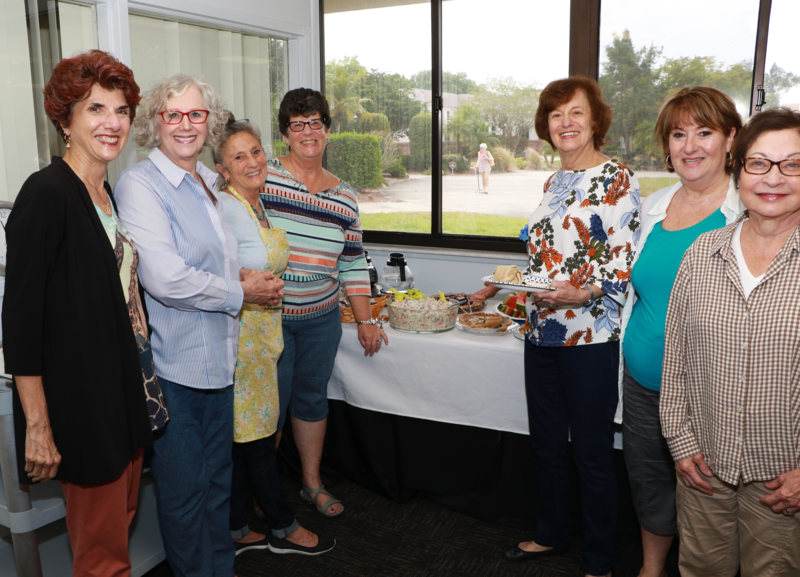 Our children and teenagers discover a wide variety of meaningful and fun activities though our youth groups, while our adult congregants enjoy camaraderie in the Sisterhood or Men’s Club or general TBS events. In addition, many of our members volunteer their valuable time for worthy causes with energy and enthusiasm. 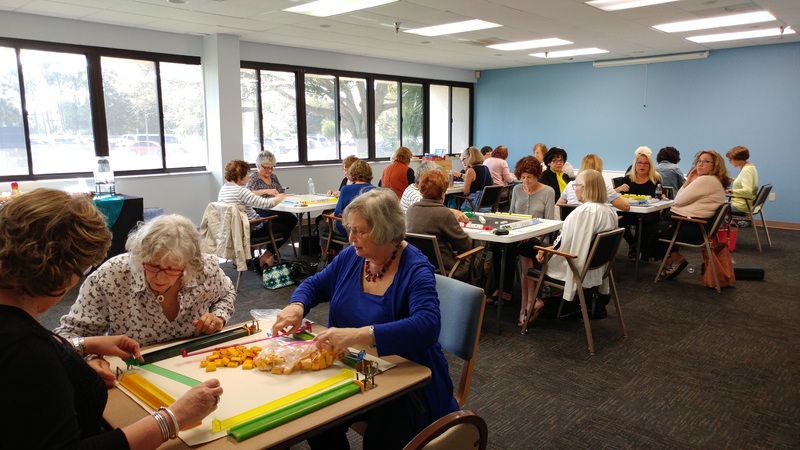 Temple Beth Sholom depends on the many talents of our congregants and we welcome your involvement. We welcome new faces and encourage you to explore our programs- there is truly something for everyone! A “delectable” documentary about the famed lox and herring emporium Russ and Daughters, a staple on New York’s Lower East Side for 100 years. The film traces four generations of the Jewish immigrant family that created and continue to run the store today. Famous devoted customers are interviewed, including Ruth Bader Ginsberg, Morley Safer, and Maggie Gyllenhaal. Ronnie Riceberg will lead a question and answer session after the film. Refreshments, including popcorn, will be provided courtesy of the Men’s Club. Suggested donation - $3 for members and $5 for non-members. Join Rabbi Werbow as the java and Torah discussion flow while personal meaning is found through an exploration of rabbinic texts relating to the weekly parasha. Start speaking modern Hebrew from day one! This class is taught by Cheryl Cohen. Join us as we read original Yiddish literature. Reading knowledge of Yiddish is essential. Many people, for various reasons, did not celebrate becoming a Bar/Bat Mitzvah at age 13. Join this class as we travel this journey together! 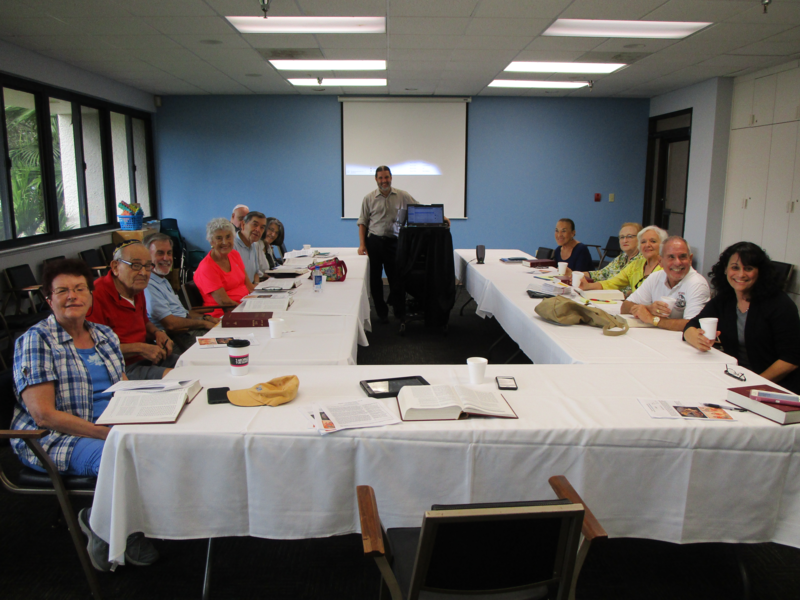 If you are interested in keeping up your spoken Hebrew skills, this ongoing informal study group is for you! Join us for our annual fashion show, featuring lunch catered by Michael's on East and fashion by Foxy Lady! Join the Sisterhood for a Hatha yoga practice at Temple Beth Sholom. All levels are welcome! Chair modifications will also be provided. No RSVP required. 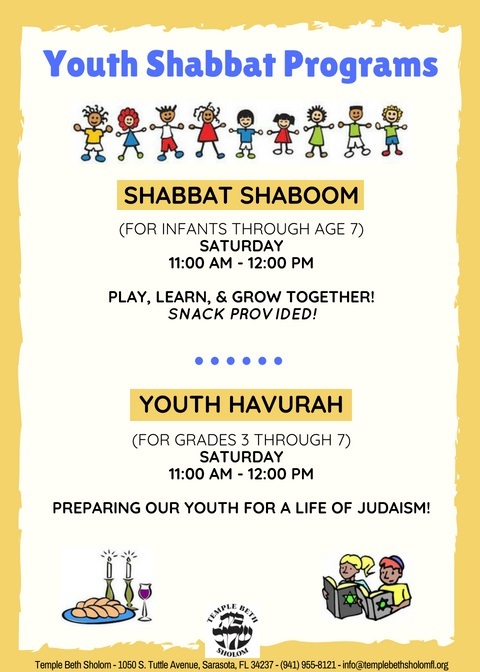 Shabbat Shaboom is our version of Tot Shabbat (for infants through age 7) where kids can play, learn, and grow together! Snacks are provided. Youth Havurah hopes to prepare our youth for a life of Judaism! It is for youth in grades 3 through 7.